Wins, losses, knockouts and submissions. Bellator 180 gave us everything we wanted and more. Here are the fighters captured in the moments after they step out of the ring. In MMA, there's truth to the punchline: You should see the other guy. Deep in the heart of New York's Madison Square Garden, Clay Patrick McBride captured portraits of each Bellator 180 contestant after matches in the iconic arena. The results are written on the fighters' faces, euphoria and bitterness etched in every cut and bruise. An emphatic victory on the undercard by Irish featherweight James Gallagher earned a tweet from mentor Conor McGregor: "Atta boy Jimmy boy!! Smooth work." In dual debuts, 20-year-old Aaron Pico, touted by some as MMA's top prospect ever, lost in 24 seconds, and WBC boxing champ Heather Hardy scored a third-round KO. Chael Sonnen dominated Wanderlei Silva in the main event, but the most dramatic fight was waged by heavyweights Fedor Emelianenko and Matt Mitrione, a former NFL defensive tackle. 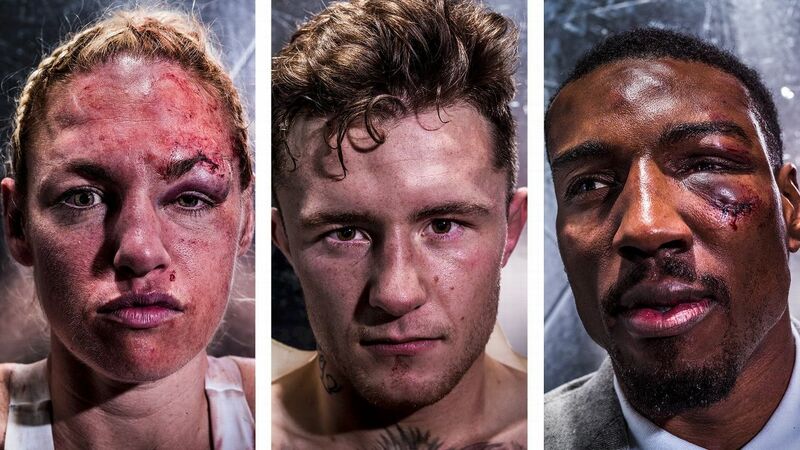 Whether returning victorious or in defeat, faces of the fighters tell the story of a battle which will last a lifetime.